A twist on the classic four-claw solitaire, featuring split claws for a total of eight fine claws. 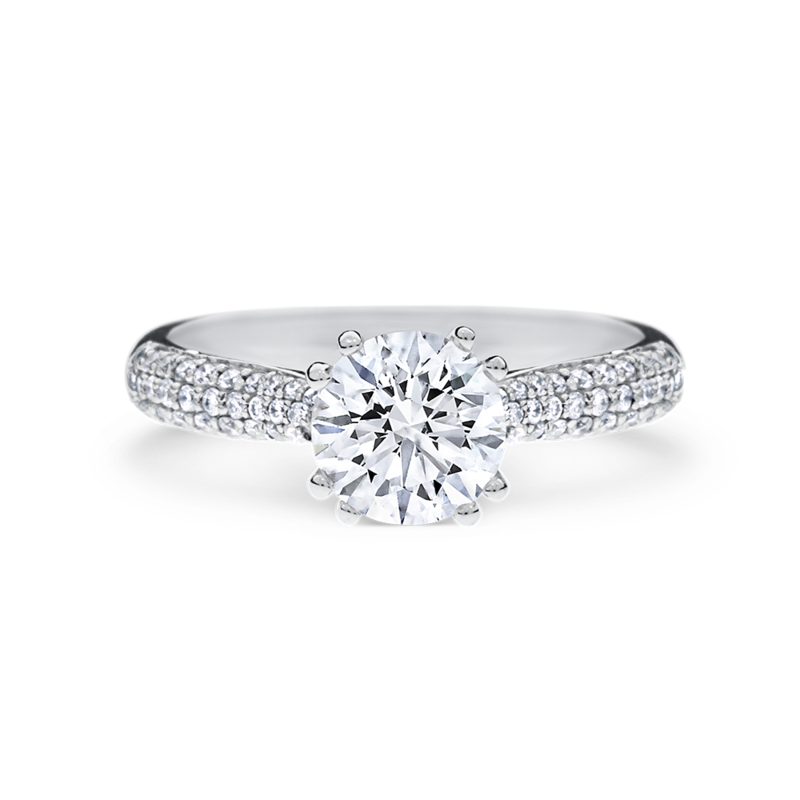 Round brilliant cut diamonds are nestled in a delicate pavé setting for a striking appeal. Available in a wide range of centre stone weights. Available in 18ct white, rose and yellow gold, or 950 platinum.